Yesterday, Finnkino Oy announced its desire to buy up the Solaris cinema. If approved by Estonian Competition Authority, a movie monopoly will be created in Tallinn and all of Estonia. In that case, the only considerable competitor would be Cinamon, operating in Tartu and owning movie theatres in Latvia and Lithuania. The Finnkino-owned cinema chain Forum Cinemas also has theatres in Narva and Tartu. Even so, their main rival on Estonian market is Solaris. Tallinners are known to be movie lovers – one reason for it, perhaps, being the sharp fall in ticket process as the Solaris multiplex opened doors. Winds of change are blowing, however – as evidenced by July’s simultaneous price rise in the two biggest cinemas of Tallinn. Film producer Artur Talvik says he does not like the situation. «The result being we will get extremely high movie tickets, compared to living standards. Movies ought to be accessible to all,» said he. Mr Talvik thinks the solution would be having yet another major cinema entering the market, as a monopoly would be sad indeed. «We do have free market? I hope Competition Authority will not ratify the deal,» the movies-man hopes, claiming it would be quite realistic to have one more cinema enter the market – there is room enough. 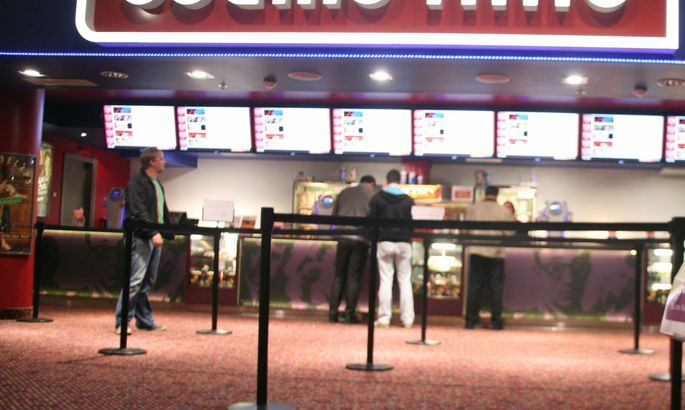 The movie ticket price average, dropping somewhat in 2010 – to €3.6 – as numerous new cinemas opened their doors, rose again in 2011 and reached €4.1. Cinema chain Forum Cinemas CEO Kristjan Kongo vows ticket price will definitely not rise following acquisition of the Solaris theatre. «We intend to stick to the current price level,» said Mr Kongo, admitting, however, that the price would definitely not come down either. Finnkino will also acquire the Artis cinematheque in Solaris Centre, its current operator Tallinnfilm having serious trouble. When it comes to plans for the future, Mr Kongo said they plan three new cinemas by 2016. At the moment, they are focussing on repertoire, whish – he claims – is the main issue. «As we will be having eighteen screens, we can widen the repertoire and have more flexibility in our programme. There will be more art-house movies,» he promised. Mr Kongo declined to reveal the price of the deal. According to Forum Cinemas’ parent company Finnkino Oy executive Liisi Jauho, they are really looking forward to enlarging their movies’ network and operating Solarise. «It is a well-functioning cinema in a great location, wherefore it fits well with our network,» said Ms Jauho. Matti-Pekka Sävelkoski, board member of Solaris cinema’s parent company Solaris Property Partners and representative of the Swedish investment fund Sveafastigheter, confirmed the preliminary contract is signed. «In our opinion, Forum Cinemas is a strategic investor, interested in developing the movie market, which is in the interests of visitors of Solaris. On the other hand, the offer presented to us confirms that the Solaris cinema team has, over the past three years, done an excellent job,» said Mr Sävelkoski, commenting the deals. Both parties confirmed that green light by Competition Authority is prerequisite for the contracts entering into force. According to Statistical Office, last year’s visits to cinemas amounted to over 2.3 million – record level for past 19 years. The last time that visits were more abundant was back in 1992 with 3.4 million. On July 2nd, on the very same day, both Solaris cinema and Coca-Cola Plaza raised ticket prices. Both cinemas claim this was pure coincidence, price rise not being mutually coordinated. About a month before, Postimees had checked the information about the two cinemas merging. At that time, representatives of the companies denied that; however, soon after both raised prices simultaneously.